Game of Thrones has revolutionized television in many ways, but an underrated one has been its opening credits sequence. In an age when a lot of TV shows, especially those on broadcast networks, have done away with opening credits altogether or made them last less than ten seconds, Game of Thrones has also presented its credits with the high budget, ambition, and attention to detail that are trademarks of the series itself. The sequence is produced by a company called Elastic, which has worked with HBO on the credits for such shows as Big Love and Carnivale. The Game of Thrones titles, while including the names of cast and crew, also maps out the show’s world, featuring animations of Kings Landing, Winterfell, and other locations. In a bit of naming perfection, the director of the title sequence is named Angus Wall. On Sunday night, as part of the show’s season premiere, a new, very different version of the sequence appeared. While previous seasons had always begun with Kings Landing, before going on to Winterfell, the Wall, whichever location Daenerys Targaryen was in at the time, and sometimes one or two others, the new sequence changed the order and gave Westeros a brand new animated look. The new version begins with the newly fallen Wall, before proceeding to a previously mostly unmentioned castle called “The Last Hearth,” which played a part in the premiere. The map then proceeds south to Winterfell, featured an expanded version of the familiar animation, including more of a view of the inside than what has been typically shown in past seasons. 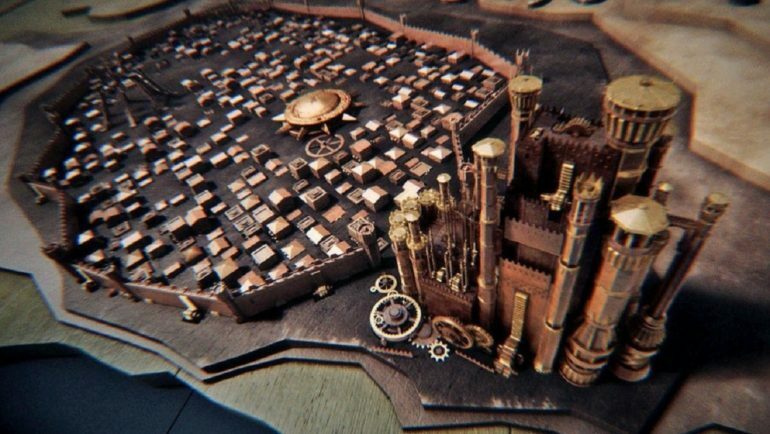 Then, the map proceeds to King’s Landing, where we once again see more than what we’ve been shown in the past of the Red Keep – including a look at the Iron Throne itself. With the world of the show contracting a bit, as more and more characters congregate either in Winterfell or King’s Landing, there are fewer locations than usual, so it makes sense that we’re getting longer looks at each individual place. It’s unclear whether the credits will have subtle changes from week to week like in past seasons. The creators of the animation broke down the new sequence for The Ringer. Season 8 of Game of Thrones continues next Sunday.